Continuing on the theme of reading women authors in 2014 – a mini-movement launched by the writer and illustrator Joanna Walsh – here are more selections my book group has read over the years. We read books by and about women. Again, these books represent our collective decisions, not necessarily my personal recommendations. I’ve loved many, but not all, of them. In a previous post, I listed authors from A – G. Scroll down to find it. Here are authors from H – Z.
O’Faolain, Naula – Are You Somebody? 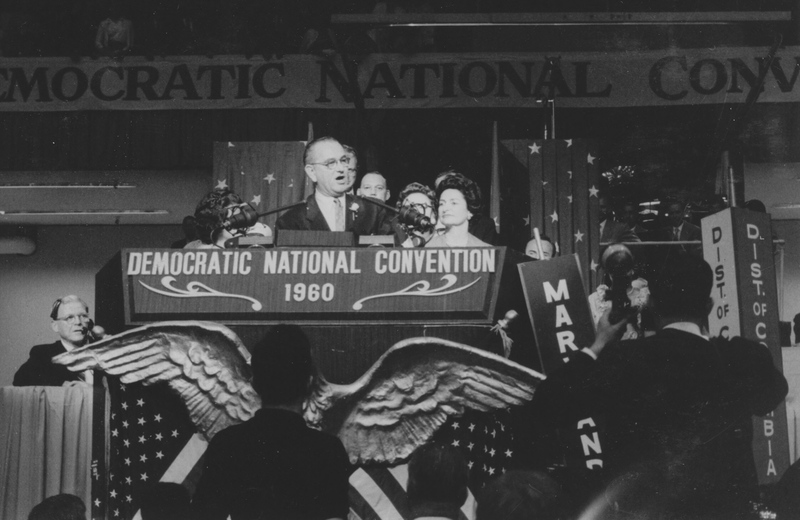 Lyndon Johnson speaks at 1960 Democratic Convention. Photo by Julian P. Kanter. I’m reading The Passage of Power, the fourth book of Robert Caro’s multi-volume biography of Lyndon Johnson. The book recreates in vivid detail the years 1958 through 1964, during which Johnson wielded enormous power in the Senate, reached for the Presidency with a baffling strategy guaranteed to fail, became Vice President, and gained the Presidency in a way he never expected. Oh, and he launched the War on Poverty and the most transformative civil rights policies since emancipation. The story speaks to me personally on so many levels. Johnson’s youth was twisted by poverty. As President, he marshaled the might of the federal government to improve poor people’s lives in a way that was bold at the time and almost inconceivable in the heartless policy environment of recent decades. How to shift the way people imagine the possible – so that it is the persistence of poverty in America that becomes inconceivable, rather than the hope of ending it – is the driving passion of the Center for Community Change, where I’ve worked for more than 20 years. So it’s fascinating to learn how Johnson found ways to advance so dramatically both civil rights and anti-poverty efforts. I also have a family connection to the book. Both my parents were political activists who volunteered for the Kennedy campaign. 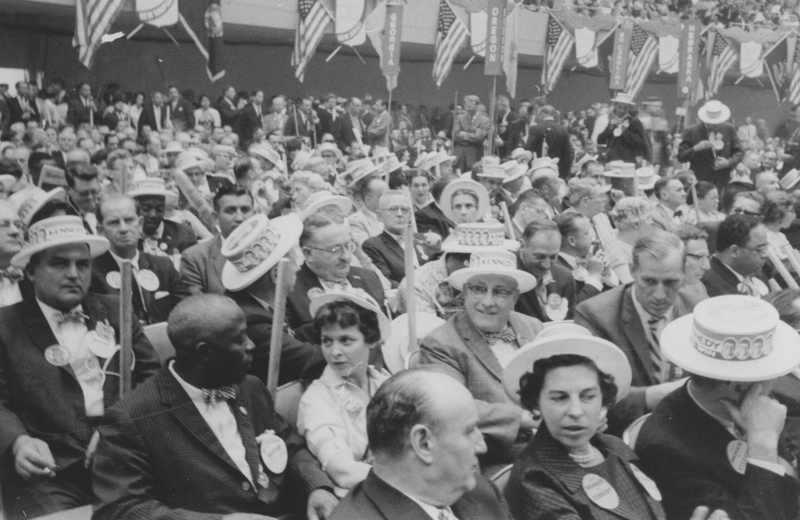 My father attended the 1960 convention that is the highlight of the book’s opening chapters, and took the photos you see here. As a child, I got to accompany my mother to the Kennedy campaign headquarters in Chicago, where I was allowed to stamp the return address on stacks of envelopes. One element of LBJ’s legacy is, of course, his disastrous leadership of the war in Vietnam. And that war – specifically its lifelong impact on one woman who served – is the focus of my novel, Her Own Vietnam. See how neatly I have twisted Caro’s award-winning masterpiece so it’s all about me? You may well wonder what I know about the Vietnam War and its afterlife. More on that later. Meanwhile, enjoy these photos of the past. 1960 Democratic Convention in Los Angeles. Photo by Julian P. Kanter. 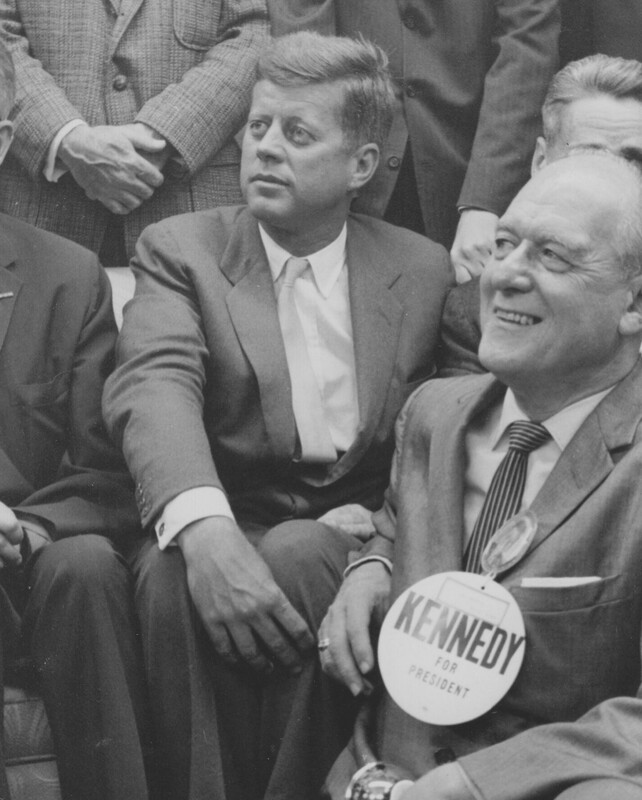 Candidate JFK at 1960 Democratic convention. Notice how big the campaign buttons are and how small the chairs. Photo by Julian P. Kanter. I just saw a mockup of my book cover. It is so cool. With these colorful cards in the shape of bookmarks, British writer and illustrator Joanna Walsh has sparked a movement. Throughout social media, women and men are pledging to read more – or exclusively – women writers this year. 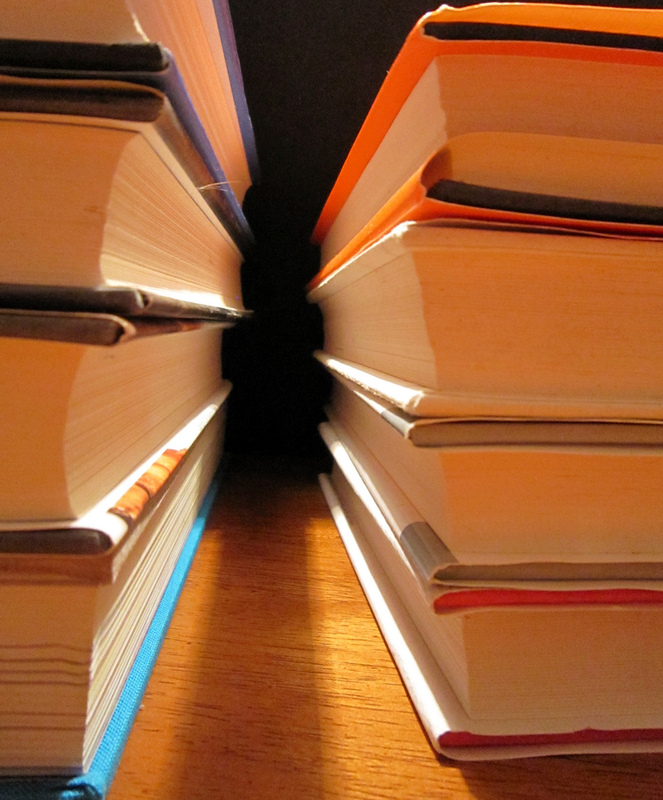 Journals are promising to publish and review more women writers. Book lists fly back and forth across the Internet. The twitterverse is aboil with #readwomen2014, the hashtag Walsh started. To this I say hooray! And congrats! And join the party – we’ve been waiting for you. After all, for 21 years I have been in a book group whose membership has changed but whose organizing principle has remained the same: we read books by and about women. What all this means is thanks to Joanna Walsh, it’s possible that for the first time in my life I might actually be trendy. Let’s take a quick look at the card she designed. The bookmarks represent Walsh’s favorite authors, and it did not escape my notice that they are all white. But on the back of the card, in tiny print not discernible to anyone over 40, she provides a more diverse list of 250 women writers. Her goal is to help those who want to Read Women 2014 but don’t know where to start. In that same spirit, I’d like to share a list of some of the titles my book group has read. This list does not represent my own favorite books or authors, but rather the collective reading decisions – achieved with much discussion and red wine – that my book group has made over the years. And yes, in deference to Read Women 2014 I’ve left out the books that were about women but written by male authors. The list is alphabetical by author. Let’s start with A – G.
Your must-read list of women writers? 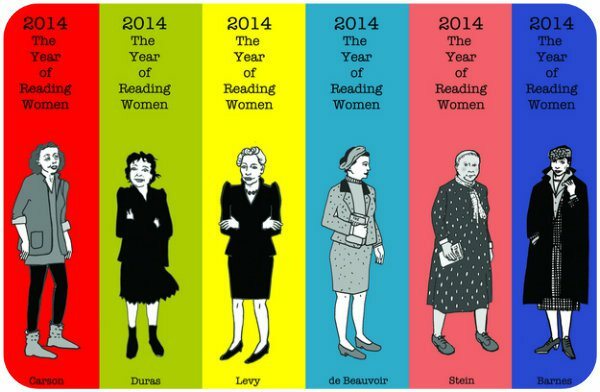 What do you think about The Year of Reading Women? Which women writers should go on a must-read list? I’d love to see your suggestions. It’s been three weeks since I sent the final draft of my novel, Her Own Vietnam, to my publisher for editing. While I wait to hear from her, there’s a lot for me to do. Here are some of the things that are on my mind during this hidden gestation period as my manuscript evolves into a book. It’s not up to me to figure out cover images or page layout. A professional designer will do that, and my publisher will have the final word. But I am fortunate that Rosalie – unlike many publishers – actively engages her authors in design decisions and creative thinking about what the book should look like. So while I’m not worried about specific fonts or photos, I am thinking about the feeling I want the book cover to project – and hoping the designer can find a way to express that feeling visually. As I mentioned in a previous post, it’s a delicate matter to ask someone to blurb your book. And like most people, I am uncomfortable asking for favors. The writer I’m about to approach has already been very generous to me. Is it over the top to ask her for yet more assistance? We’ll soon see. I suspect a novel like mine is going to find most of its readers through word of mouth. But the very first readers, particularly those who might stock the novel on their bookstore or library shelves, will most likely learn about it from reviews. It is the publisher, not the author, who sends books out for review and Rosalie has already developed a list of review outlets for my novel. But I want to add to her list by learning about all the places I think my potential readers might hear about the book. Who are my potential readers? Women (and men) who are interested in women’s stories. Who think about the human impact of social issues. Who fought in wars or marched against them, or both. Who are willing, for the length of a novel, to try on someone else’s life. I have three friends whose book recommendations are always on target. I have a couple of others whose stamp of approval for a book might as well be a skull and crossbones. What about you? How do you hear about books to read? Is it through a particular website or magazine? A local bookstore? A trusted friend? Do you have any advice for me about how to reach, well, people like you? Leave a comment and start the conversation: How will find your next book?